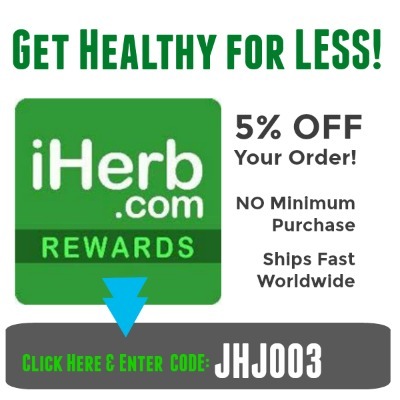 Increasing variety of natural, whole foods gives your body more variety in minerals, enzymes, energy and healing power. Unfortunately, refined, processed wheat has become the staple food in many people’s diets today. Of course, wheat also contains gluten, a protein that can weaken the micro-villi in the small intestine, decrease absorption rates and over time can also weaken the peristalsis function of the colon. Even if you’re not intolerant to wheat or gluten, adding different grains to your diet is a good idea. Whether you cook your grains or eat them raw (usually sprouted or soaked) is entirely up to you. Either way, your body will benefit from having less wheat and gluten. Don’t be afraid to add a cooked grain, such as quinoa or brown rice, to a delicious raw vegetable salad for a half-raw, half-cooked meal. Especially when transitioning to a high-raw diet, cooked grains can help you feel full and keep you on the path of natural, whole and pure foods. Keep in mind that gluten is also found in kamut, spelt, barley and rye. 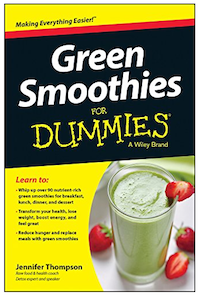 If you are looking for a total gluten-free diet, you should avoid those grains as well. Technically buckwheat is not a grain. It is actually a fruit seed related the the rhubard family. It has a nutty taste and goes well with root vegetables like carrots or beets, onions and mushrooms. Buckwheat is high in protein (particularly lysine), is a rich source of B vitamins, and is high in manganese and tryptophan. Because of it’s high amounts of flavonoids, particularly rutin, buckwheat helps maintain blood flow, strengthens the blood and protects the low-density lipoprotein (LDL) cholesterol from free radical oxidation into potentially harmful cholesterol oxides. All these actions help to protect against heart disease. 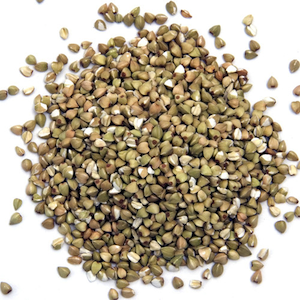 Buckwheat is called ‘groats’ when unroasted (raw) and ‘kasha’ when roasted. In cooked food, buckwheat can be served as an alternative to rice or made into porridge. Buckwheat flour is great for making ‘healthy’ pancakes. As a raw food, buckwheat groats can be used to make a ‘raw’ porridge by soaking the groats overnight and adding cinnamon, dates, raisins and raw honey or agave. Quinoa is a food from the ancient Incas, and although considered a grain, it’s technically part of the Chenopodium plant family. Quinoa has a light flavor and nice texture when cooked; it’s also easy to sprout. Quinoa is consider a complete protein, meaning that it includes all nine essential amino acids. 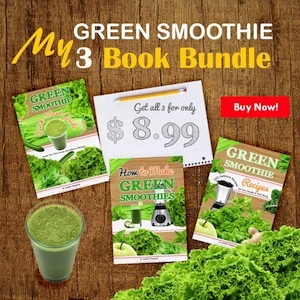 This makes it a great choice for vegans, vegetarians and raw foodists who are concerned with getting enough protein in their diet. 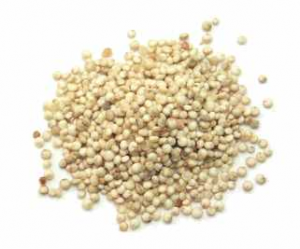 Quinoa is also a very good source of manganese as well as magnesium, iron, copper and phosphorus. Can you imagine how much nutrition your body will get? You can make a delicious quinoa salad with finely chopped red bell pepper. tomato, cucumber, chopped parsley, raw apple cider vinegar, cayenne pepper and sea salt. 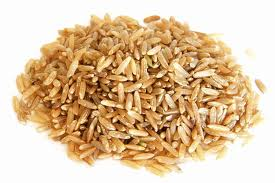 Brown rice has a much higher nutritional value than white rice because the outer layers of the grain are still intact. The processing and refining of white rice strips the rice of its nutrients. Brown rice is naturally high in B1, B3 and B6 vitamins as well as manganese and selenium. It is also a good source of dietary fiber. Add some cooked brown rice to a salad of chopped cucumber, tomato and grated carrot. Drizzle with a mixture of tahini, water, squeezed lemon, cayenne pepper, cumin and salt. This makes for a healthy lunch or a great fast dinner. You can also use brown rice as a side dish to a main meal, adding some chopped scallions and minced garlic for flavor. Let your food be your medicine! Many people forget about corn as a healthy grain option to add to the diet. Corn is naturally high in magnesium and helps to stimulate bowel function. It’s great for anyone suffering from constipation. Corn is an ancient grain that is high in B vitamins and carotenoid antioxidants and is another good source of dietary fiber. Corn on the cob can be eaten either cooked or raw. If raw, simply cut the corn off the cob and add it to a salad. You can even eat the raw corn on it’s own with a dash of cayenne pepper and salt for a fantastic afternoon snack. Add raw corn to a fresh homemade salsa for some real raw food bliss! A great snack for kids as a healthy alternative to potato chips or pretzels is to make homemade popcorn using the real kernels popped on the stove. Transfer the cooked popcorn to a serving bowl and drizzle with organic virgin olive oil. Sprinkle with salt and nutritional yeast for a yummy ‘cheese’ flavored treat. Corn can be genetically modified which is definitely a concern, but keep in mind that genetically modified wheat will soon be produced for mass consumption too. At least corn is less processed than refined white flour and doesn’t contain gluten. If possible, buy corn from your local farmer and be sure that he is not growing ’roundup ready’ corn (ie, genetically modified and owned by Monsanto). 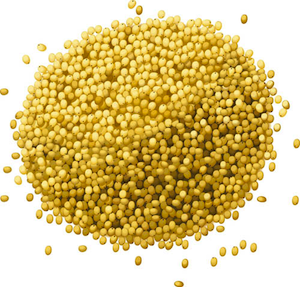 Millet is a fantastic gluten-free grain, naturally high in protein, phosphorous, iron and B vitamins. When cooked, millet has a sweet buttery taste. Millet can be sprouted and eaten raw; hulled millet should be used for cooking. Cooked millet can be served as a breakfast porridge with a variety nuts and chopped fruits. Ground millet can be added to bread and muffin recipes as an alternative to wheat. Sprouted millet can be blended with flax seed, carrot pulp, rosemary and cayenne pepper and then dehydrated for some yummy raw food crackers. With rates of diabetes, Irritable Bowel Syndrome (IBS), colitis, celiac and cancer going through the roof and increasing every day, isn’t it time we started to make some serious changes to our diets?